WeCo, Edgecliff Where Are We? A technique driven workshop which will result in professional finishing wire wraps and more secure jewellery. Whether you want to be a better jewellery maker or you are a fossicker at heart and want to learn how to wrap your stones to create festival style jewellery this workshop is for you! Whether you are a creative at heart or a complete novice you will find this jewellery workshop will get your creative juices going. So gather your friends for a creative night of making, fun and mindfulness and nurture your creative soul! 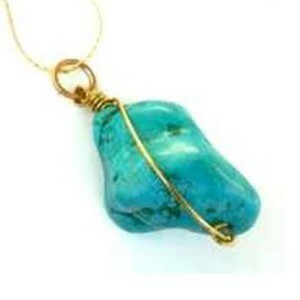 Learn the basic techniques of wrapping irregular stones & shells with rigid wire. Learn professional finishing touches & tips. Note: all findings are nickel and lead free. bble you would like to wrap please bring it along. Christine Smalley is a full time designer & educator under the label Etelage est in 2002 and based in the inner west. She is a bower bird at heart and combines her love of travels & cultures to source exotic artisan beads & embellishments for her jewellery designs. She has lived in Africa, studied glass design in Italy & fossicked through many a basement of former jewellery makers in the hub of Bohemia. (Czech Republic and southern Germany) Her travels allow a constant flow of inspiration & stories plus an eclectic & juxtaposed style. She observes that generally as a society we are becoming more mindful about our choices: conscious of choosing products which are made using artisan traditions & not mass produced, and seeking quality over quantity. So it is with that philosophy she shares her skills and knowledge of jewellery design to encourage all her students to awaken their creative soul and seek beauty, slow, artisan and local. Questions about the class? Please email sydney@lanewaylearning.com. Got a burning question? Contact us here: sydney@lanewaylearning.com. Sign up to our weekly newsletter to hear about the latest cheap, fun and unusual classes happening in Sydney.